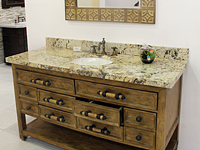 Newstar Stone are rich experience at countertops,vanity top ,especially supply them to Hotels,Condo,Apartment since 2002. The material come from Granite,marble, Quartz ,solid stone with fairth price and highly quality! Direct supplier and exporter of discount double-bullnosed and ogee granite countertops, quartz countertops, granite vanity ,tub surround,window sill ,table tops, registration desk etc,finished backsplash and tiles in a new modular system. All are higher quality. 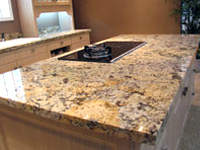 In this website, show you following information: -granite countertops, granite vanity granite tub surround granite window sill-marble countertop marble vanity marble tub surround marble widow sill-granite tops granite tile countertop granite countertops colors countertop granite-marble tops marble tile countertop marble countertops colors countertop marble-solide surface ,installing granite countertop granite Kitchen countertops-granite countertops installation-granite counter tops-marble countertop tops-benchtops-granite china,we also include granite tub surround and marble tile tub surrounds and fiberglass tub surround , there have more size such as 30x70"ath tub surround & 36x96" tub shower surrounds for tub wall installing in bathroom,total four piece!WE also supply bowed vanity,apron ,tissue clips,undermounted vanity,overmounted vanity,bowed apron, marble wash basin , granite wash sinks,travertine sinks,bath tubs surrounds, show showers etc. Newstar stone now are successful offering bart tops, bowed vanity,registration desk ,windows sills,tub surround, shower panel,window sill, bowed vanity,Counter tops vanity tops, shower wall, windows sills and etc, these for some projects such as hotels,Condo, hospital,such as Holiday Inn Express, Hilton Hotel, Bestview, Sleep inn, Residence inn ,Hammpton Inn, Best Western ,Hamption in Florida,New York, Boston, New jersey and a lot of different class hotel. We have strong wood crate and best serivce, also have good Mapper,and best price to service you.